Request a quote for Large Knob - Retractable Plunger without Nylon Patch today. 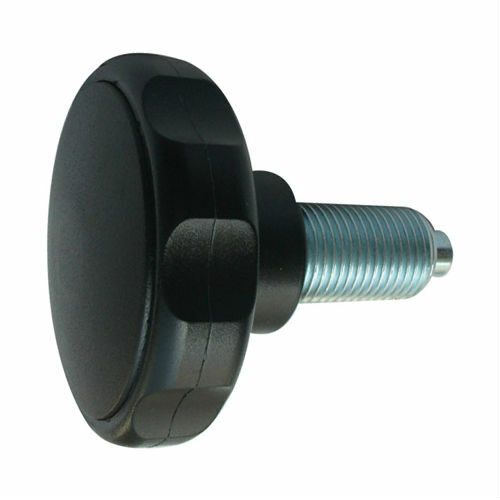 This large knob retractable plunger (also known as an indexing plunger) is manufactured with a high quality zinc plated steel threaded stud and black plastic knob. Nose retraction is accomplish via a simple pull action, and the large knob featured on this model ensures the highest amount of grip and control. This plunger has been designed and tested to withstand side loading. Please see component diagram below.